Windows 8 is a modification of Windows 7. Windows 7 is a brand new operating system and is currently the latest operating system by Microsoft. Windows 7 has many new themes and is software run on Windows Vista is also compatible with Windows 7 & 8. Originally, a version of Windows codenamed Blackcomb was planned as the successor to Windows XP (codename Whistler) and Windows Server 2003. Major features were planned for Blackcomb, including an emphasis on searching and querying data and an advanced storage system named WinFS to enable such scenarios. However, an interim, minor release, codenamed "Longhorn," was announced for 2003, delaying the development of Blackcomb.By the middle of 2003, however, Longhorn had acquired some of the features originally intended for Blackcomb. After three major viruses exploited flaws in Windows operating systems within a short time period in 2003, Microsoft changed its development priorities, putting some of Longhorn's major development work on hold while developing new service packs for Windows XP and Windows Server 2003. Development of Longhorn (Windows Vista) was also restarted, and thus delayed, in August 2004. A number of features were cut from Longhorn. Blackcomb was renamed Vienna in early 2006 and again Windows 7 in 2007. 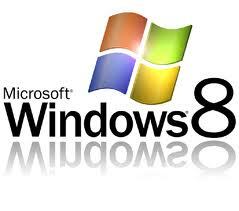 In 2008, it was announced that Windows 7 would also be the official name of the operating system. There has been some confusion over naming the product Windows 7, while versioning it as 6.1 to indicate its similar build to Vista and increase compatibility with applications that only check major version numbers, similar to Windows 2000 and Windows XP both having 5.x version numbers. Windows 8 was made by Skat666, and has more themes and many other thing's and also has everything Windows 7 has. If you do not wish to use CD's, you may use a ISO file extractor like poweriso. How to shutdown other computers at school ?